Apple has been making continuous efforts on iMac updates and now the latest Apple weapon of iMac is the world-liked Retina iMac with higher resolution up to 5K (5120×2880). However, iMac 5K still adherents to its family tradition that doesn't have the computer hard drive to support playback DVD disc directly thereon. In such case, you would only encounter Waterloo but nothing when it comes to playback DVD on iMac 5K. Some people love DVD movies and ofen buy some from Amazon or rent some from errleihshop.at site. When they want to play their Amazon/Rent DVDs on iMac 5K, they would get failure. Additionally, the iMac with 5K Retina display only play the ordinary MP4, MOV, M4V video and can’t get along with the HD video like MKV, AVCHD, VOB, MTS video. So if you want to play Amazon/Rent DVDs on iMac 5K, you need to extract MP4, MOV and M4V video from Amazon/Rent DVDs. This would be a easy work with a DVD Ripper. Pavtube ByteCopy for Mac would be the best DVD ripping tool to rip and copy Amazon purchased and online rented DVDs to iMac 4K playable format video by removing DVD encryption including CSS, region code, RCE, Sony ArccOS, UOPs, Disney x-project DRM, etc. It can convert DVD to 1080p, 2160p, 3840p even 5120p MP4 for iMac 5K playing. 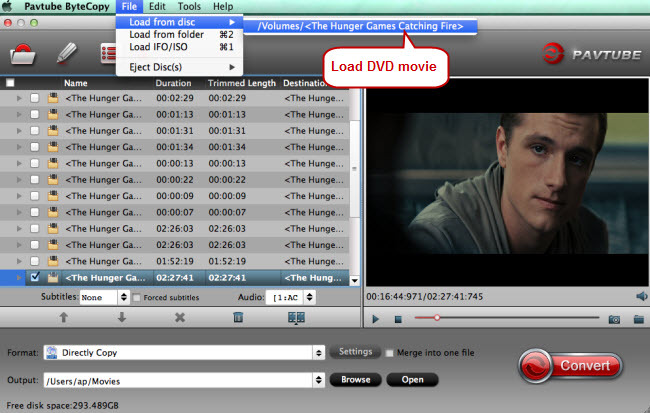 As a multi-track DVD Ripper, it also can convert DVD with multiple subtitle and audio tracks in MP4/MOV format. 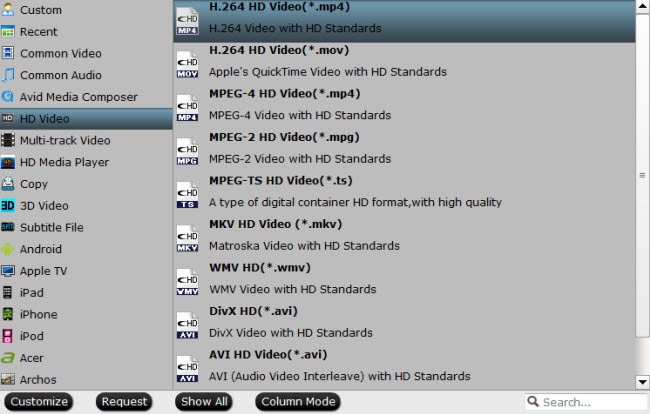 If you have a MKV Player on iMac, ByteCopy for Mac can extract lossless/uncompressed MKV from DVD discs where the video and audio is lossless and all subtitles and audio tracks, chapter markers are preserved. With it, you also can rip Blu-ray to iMac 5K with high resolution, keeping Dolby TrueHD, DTS 5.1 surround sound, Linear-PCM 5.1 or 7.1 audio. How to Copy Amazon/Rent DVDs for iMac 5K? Download and launch this DVD ripper for iMac 5K. Click "Load from Disc" to load the DVD you want to transfer to iMac 5K. To transfer DVD to iMac 5K, you can choose to convert DVD movies to MOV and MP4 video file to play it on the new iMac 5k with the built-in QuickTime player. 1. This DVD copy software also allows you to rip DVD movies to portable devices like iPhone 7, iPad Air 3, iPad Mini 4, Samsung Galaxy Note 7, etc by selecting the respective device profile from the list. 2. You could customize profile parameters like video codec, video file size, video bitrate, video frame rate, audio channels, and more to achieve the best video and audio quality when playing on 5K Retina iMac. Click the "Browse" button to set the file to save the output video file. Click "Convert" button to copy and rip purchased and rented DVD to iMac with Retina 5K Display.